During their football careers Dennis Wise and Kevin Thornton made front and back page headlines. 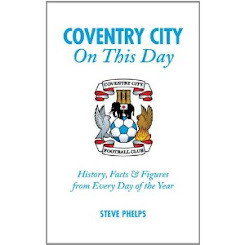 Wise dominated the news in 1995 with his infamous taxi incident while Thornton became renowned for his antics away from the Ricoh Arena which overshadowed his performances in sky blue. 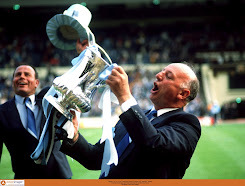 Wise responded by becoming Chelsea’s sixth highest appearance maker of all time and captained the Kings Road side to FA, League and Cup Winners Cup glory. Thornton at just 25 is currently without a club following his departure from Nuneaton Town last November. 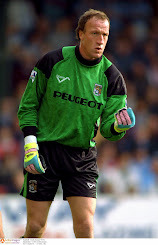 Wise became City’s oldest outfield player at the age of 39 when he made his debut against Derby in January 2006. He scored in his first three league games and took the adoration of the City support. 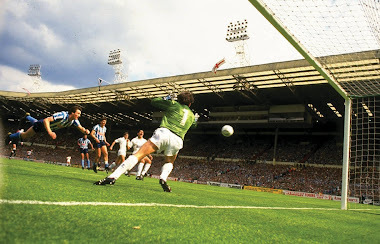 In his four month cameo he scored six times in 13 games as, along with Don Hutchison, they took City to an eighth place finish, their most successful season since relegation. One of his finest moments came at Hull’s KC Stadium when his overhead kick levelled matters before Stern John sealed the 2-1 win. Micky Adams released him in the summer along with Richard Shaw and City would miss both players more than they realised. Kevin Thornton had the footballing world at his feet. 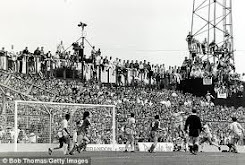 Every time his name was read out over the PA system the City faithful roared their approval. Here was a man who made things happen and was not afraid to put his foot in. There was an edge to his game which he channelled on the pitch but his misdemeanours off the pitch ensured his selection was sporadic. Over four seasons he started just 19 games and appeared from the bench over 30 times. 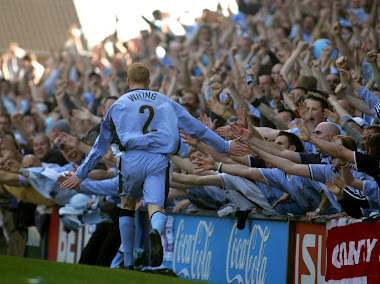 Of the two goals he scored for the Sky Blues his debut strike came at Hull in August 2006 finding the net with just five minutes remaining. Under Iain Dowie and Chris Coleman's stewardship Thornton spent further time in and out of the side before the club’s patience finally ran out. 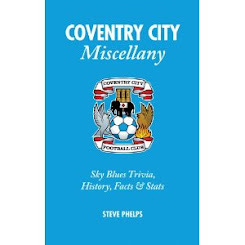 In the summer of 2009 he was released along with Michael Mifsud, both players having failed to realise their true potential at Coventry City. The atmosphere once again at the Ricoh was terrific on Saturday. Throughout the campaign Andy Thorn and his players have received excellent backing home and away from the City faithful who have spent their hard earned monies travelling the length and breadth of the country. It will be a defining moment when City leapfrog Bristol City but for the West Country side it will be a crushing blow having evaded the relegation zone for many months. They face West Ham, Birmingham and Forest in the coming weeks with a final day trip to Burnley. Games never go to plan at this stage of the season and I wouldn't put it past us to sneak a late winner at Hull just as Kevin Thornton did five seasons ago. Maybe if someone had spoken a word to the wise, he would still be orchestrating matters in sky blue today.